A natural smoke ventilation system which combines automated smoke and heat extraction has been installed into Lawson House – a new independent living facility in Aylesford, Kent. 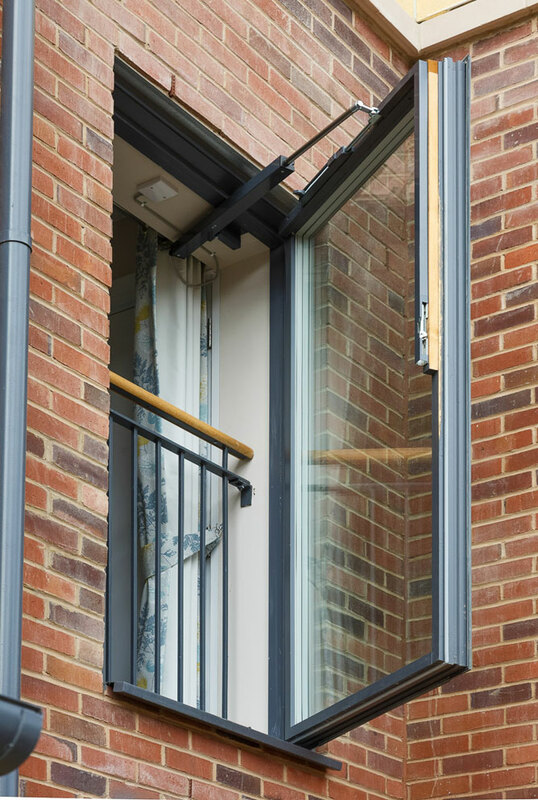 A total of 16 GEZE RWA 110 NT window actuators were installed in pairs throughout the corridors of the three-storey building which is managed by Rapport Housing & Care. These incorporate an electric spindle drive which is coupled with a mechanical locking mechanism. Eight K600 retractable arm drives were installed for the activation of automated smoke shaft doors. The shafts support the ventilation of protected areas in buildings used for multiple occupation. Should fire break out, the smoke vents would activate to efficiently expel accumulating heat and smoke. All the actuators have been connected to 14 THZ emergency power supplies which link into smoke detection devices around the development. Extra care, which is often referred to as assisted living, enables over 55s to remain in their own homes for as long as possible within the community, whilst providing them with a degree of support, tailored to their individual needs. A safe and secure environment is assisted with staff on-site 24 hours a day, seven days a week, should an emergency arise. The apartments each have a kitchen, dining room, living room and en-suite accessible wet rooms. They are fitted with a call bell system and have provision for a phone line, terrestrial and satellite television. 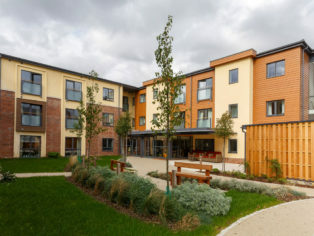 “It is heartwarming to see good quality social housing being developed for older people in our communities that incorporate great facilities with good practice in respect of safety.